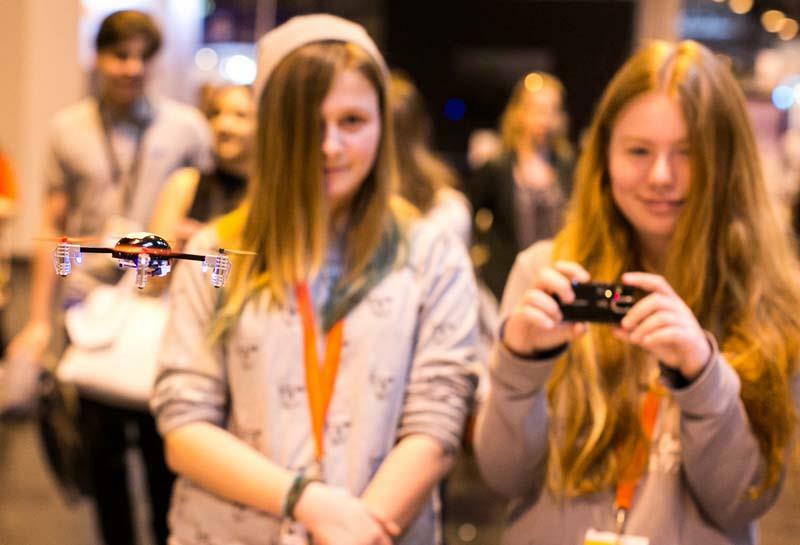 The Big Bang Fair is the UK’s largest celebration of STEM for young people. Everything is aimed at showing young people just how many career opportunities there are out there for them with the right experience and qualifications. From meeting inspiring young engineers and scientists from some of the biggest companies in the UK and through receiving dedicated careers advice, the aim is for young people to leave the event with a fresh perspective on where their school subjects can lead them and a more positive view of careers in STEM. Teachers hope to leave with new ideas and resources, too. The wider programme offers the opportunity to experience the Big Bang through a series of Near Me Fairs, smaller events that take place across the country helping 11 to 18-year-olds to discover closer to home the science and engineering careers that their studies can lead to. The majority of the regional fairs take place in the summer term with smaller events throughout the year. More than half (51 per cent) of 15 and 16-year-olds last year said that the Big Bang Fair had motivated them to choose physics as an option when they had the choice, including 38 per cent of female students. And yet, from a cohort of 1,000 11-year-olds, only 212 will get a physics GCSE – and that drops to just 57 at A level. What’s more, just two per cent of 18-year-old female students in England, Wales and Northern Ireland enter A level physics exams. This is indicative of the challenge: we have to capitalise on the natural enthusiasm of young people and inspire them to continue to study STEM subjects. They are engaged up to the point they start making decisions which have an impact on their future. So what do we need to do differently to keep them engaged? In simple terms, we need to do more to make STEM relevant to young people. We need to help them see how the subjects they study at school can be applied in the real world and how they are used by real people in real jobs. The professionals working in science and engineering all have different interests and have come to their current roles via a myriad of different routes. Talk to 10 people working in STEM and you will hear 10 very different stories about what motivates them, what excites them and how they have got to where they are. Sharing that with young people, opening their eyes to the range of career opportunities and highlighting the different routes into STEM is such an important part of encouraging them to want to be part of that world. That’s what the Big Bang Fair is all about, bringing together scientists, engineers, technicians and mathematicians from a huge range of companies, who in turn bring and share their stories, expertise and enthusiasm. Many of those on the company stands are apprentices or recent graduates, people still early in their career that the young visitors can relate to. The other key to engaging young people is by looking at STEM through topics that excite and inspire. Looking at the maths behind special effects or considering states of matter through clouds that taste (and smell) of strawberry. The Big Bang Fair works because it uses chocolate to teach quantum mechanics and highlights the science and engineering that put astronauts in space. Linking the astounding with very real and exciting career opportunities. 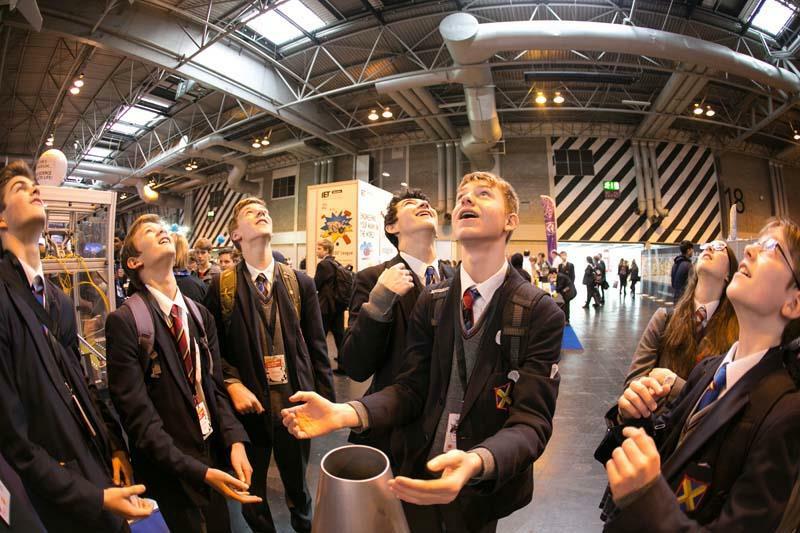 Last year, for example, 60 per cent of our 70,000 attendees sought out STEM careers information at the event. When opportunities are opened up, interest levels are high. So how do you translate the large-scale activities of the Fair and its spotlight on careers into every day lesson plans? The content is out there. The exhibitor who is giving attendees an opportunity to look at – and use – a Raspberry Pi has also developed an interactive game for the classroom in which pupils have to build and run their own supercomputer. And free teaching resources will be available to take away. What’s more, there will be more than 200 student projects on display. 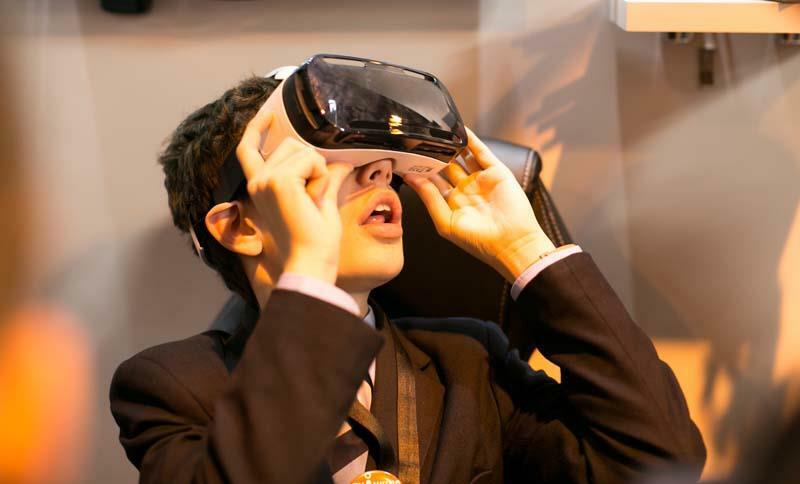 The finalists of the National Science + Engineering Competition, pupils from schools across the country, will be demonstrating their ideas at the Fair – from a night light to soothe autistic children to sleep to the formula for the best bacon butty. With grand global challenges facing us – climate change, an ageing population, food, clean water and energy – there has never been a more important time to equip young people with STEM skills. At the same time, I would argue, there has never been a more exciting time to be in STEM – whether you want to tackle epidemics, design the software that sees humans sync with machines and gets pets to talk, or build the world’s fastest rollercoaster. It is important to measure the impact of the Big Bang Fair – does it serve a purpose in terms of inspiring young students? Does it raise aspirations? Does it have any impact on the numbers of students taking up STEM careers? The simple answer is yes – but the impact depends on the delivery. If it is offered to students as simply a “fun day out”, then the impact will be reduced and probably only the more motivated students will get something from the event. Having accompanied students for the last five years, I have seen the impact that the Fair can have when there is input from staff and students are given guidance beforehand as to which stands to visit. Students should be encouraged to consider areas of interest and guided to specific exhibits. Follow-up discussions about areas of inspiration and future careers can support the longevity of the impact. Students do not know about careers they have never been exposed to, so take them along, broaden their horizons, quiz them about what they have seen, and don’t underestimate their aspirations. The results won’t be immediate but in years to come there will be a wealth of STEM students who were first inspired by their “fun day out”. This year I will be volunteering with 25 of my students at the Big Bang Fair. Not only will it give my students a great opportunity to individually learn about science in action, but getting them to focus on helping younger visitors to engage with all the opportunities at the Fair is amazing preparation for the working world. I have been so impressed by the reaction from my students. My steer to other teachers would be to think beyond just taking groups of students to the Fair and look for ways to engage at a broader level – through volunteering for older students or through local Big Bang Fair opportunities. At the same time, don’t underestimate how exciting and inspiring it can be for any age group – pupils and teachers. From amazing lesson plans to information on how to build robots from household objects, the content at the Fair promises to keep science teachers busy for most of the academic year. At the time it was unusual for him to initiate conversation and he had only met me for about an hour the week before. Not only did he start the conversation, but he had remembered my name and what we had done. I had clearly left a lasting impression. It was clear that what started as an experimental project – adapting my work with mainstream children into community special schools – could make a big difference. We worked with lots of different materials but we did come out with a firm favourite among staff, pupils and myself; the sessions involving dry ice. The first time I tried it, the reaction was amazing. Everyone was immediately fascinated by the cloud coming out of the reaction box. They couldn’t believe that they were allowed to touch and explore the soft, cool white clouds. As they got closer they could hear and feel the vibrations as the cold gas bubbles popped to make the cloud. We repeated it several times so the pupils could observe and experience the physical changes for themselves. Throughout the session we used scientific language to describe what was happening and asked the pupils to predict what might happen if we added different quantities. Then we used the reaction to inflate bubbles, showing how gas takes up more room than a solid or a liquid. The cloud bubbles are always a favourite! I have since added a step, making the clouds strawberry, lemon or blackcurrant flavoured. That’s every sense stimulated. I have met some truly inspirational science teachers working in SEND schools, but I have also have found that too often the science coordinator does not have a scientific background. This can mean they lack the confidence to push the boundaries of their activities and we really need to support them. When combining SEND and STEM, I’ve heard non-speakers utter words, I’ve seen every child in a class volunteer to help, I’ve felt the excitement in a child as I’ve guided their hand to investigate, I’ve smelt and tasted the clouds along with them. The sensory nature of science is one of the best engagement tools we have for young people. Teachers in SEND and mainstream schools need ideas – and support – to develop lessons that embrace this. If you teach in a SEND school and are able to get to the NEC, bring your pupils along to investigate what the Big Bang Fair has on offer. Pupils can see the huge range of careers available and try out some amazing hands-on activities. There will be lots of inspiration for lessons and you can even come and make some clouds with me! Dr Bearchell won The Joshua Phillips Award for Innovation in Science Engagement. Her integrated cloud workshops, called “Mischievous Matter”, will be at grid reference K3 at the Big Bang Fair. The Big Bang South East, which takes place on June 29, is pivotal to our ever-expanding STEM programme here at Ifield. During the school year we offer both in-school and off-site workshops and practical activities, university links and visits, work experience and industrial placements, higher education and career guidance to our students, but the Big Bang South East manages to deliver most of that and more in a day. We have gone from taking 40 students two years ago to more than 120 students last year. Students are nominated from all year groups as a reward for their attainment in one or more STEM-related subjects throughout the year. Once there, we establish a “base camp” for students to find a teacher at all times during the day. We always make sure there is a group activity or workshop for us all to attend (last year was an amusing science “tricks” show) and then our students are given a lot of freedom to wander and take part in the event at their own leisure. This allows our teachers to go around in smaller groups or observe from afar. ICC now has industrial links, in particular, with CGG (main sponsors) and Thales. These relationships have built up over the years and many of our students seek out the friendly STEM ambassadors who they met during site visits or in-school activities. For example, in the run up to Big Bang South East, Thales lead a six-session after-school club introducing our students to electronics. We also now have students doing work experience at Thales during the school holidays.